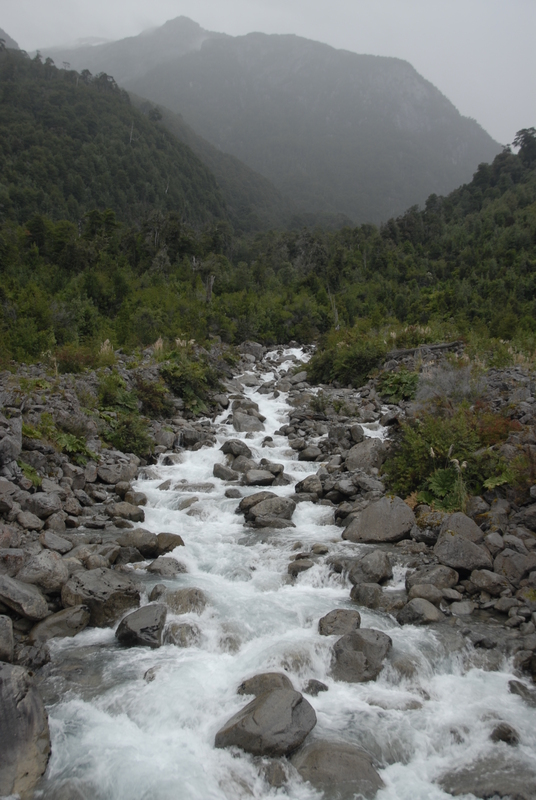 We left Futaleufu at 8am. 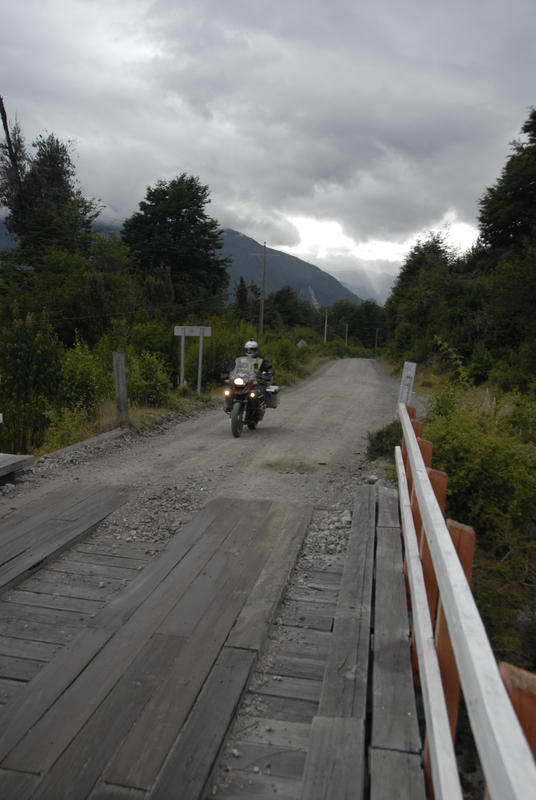 It was cloudy as we started on the gravel road. 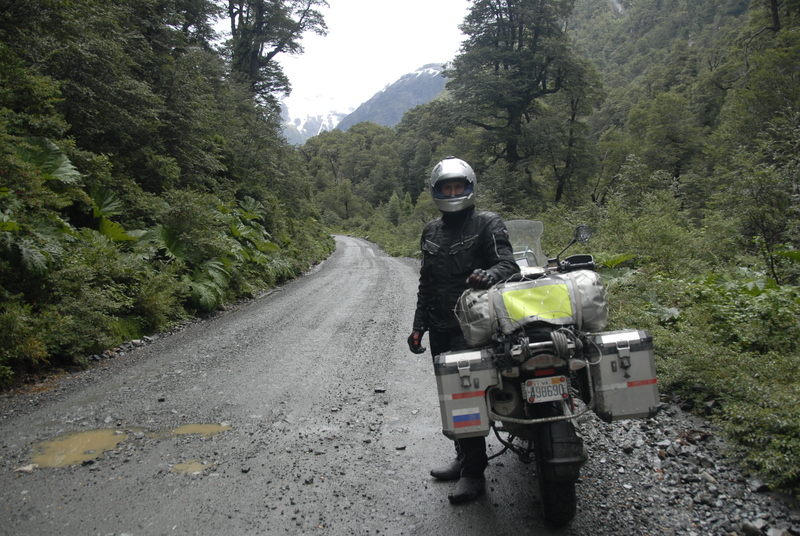 The natures was beautiful – windy road with green trees, waterfalls, rivers, lakes, and very few cars. In about an hour it started raining and the temperature dropped to 48F. It continued raining and raining and raining. The road had many pot holes full of water and it was difficult to judge sometimes it we should go around them or through them. It was a bumpy ride but most importantly it was very cold. By 11 am we stopped by at a small gas station as we had to get some gas. We were so cold that we drank 1.5 liters of coffee between two of us and 5 snickers bars for energy. The rain did not stop but we continued to travel under rain until it started to hail. We were extremely cold and we had to go for another 6-7 hours. Vadim’s mud guard came loose as one of the main screws was lost from vibrations from gravel road. We had to stop and fix it with duct tape. It was cold to get off the bikes and to pull out the tools to tighten the existing screws. Gintaras was shaking as he put his helmet on. Vadim was very cold. We arrived to our hotel at 7pm and took hot showers. It felt good.